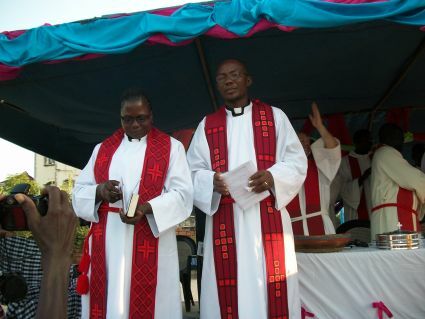 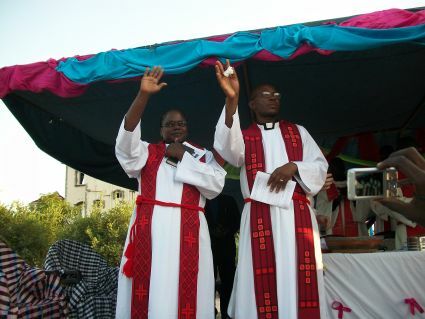 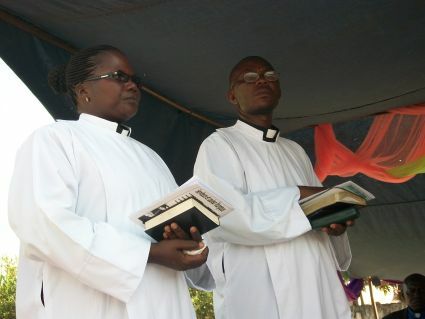 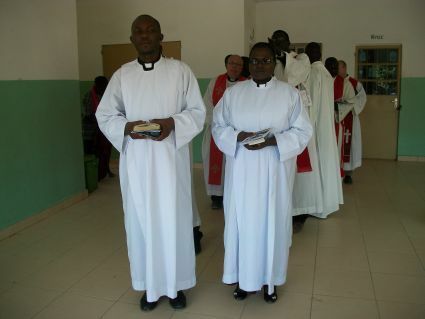 On Sunday, November 25, 2012, the first two pastors of the Evangelical Lutheran Church of The Gambia (ELCTG) -- Samuel Simeon Thomas and Fatima Bass Thomas -- were ordained after completing their B.D. 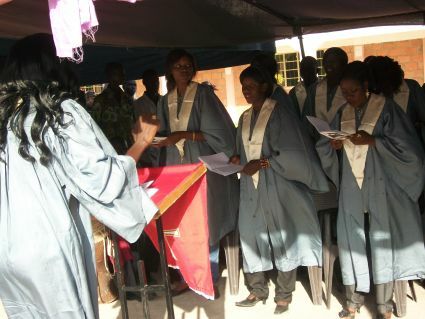 studies at Makumira University College in Tanzania. 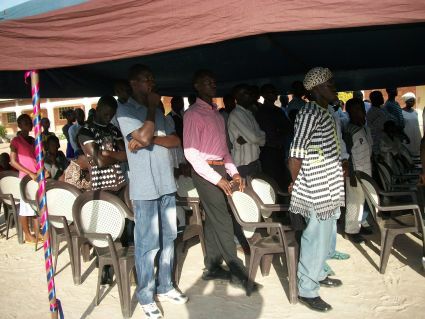 The service was held at 4:00 pm at the Presentation of Mary School Compound, Brikama. 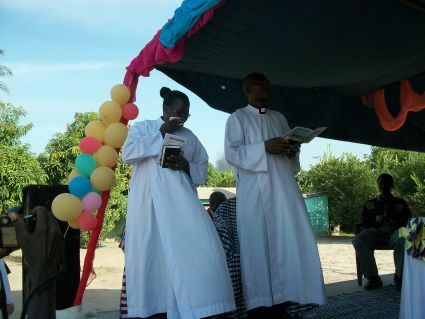 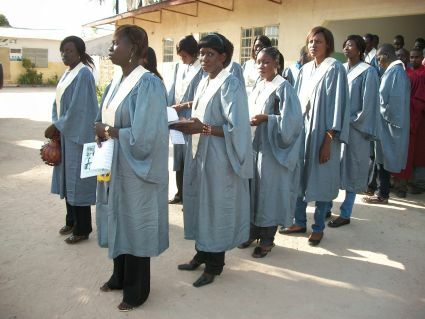 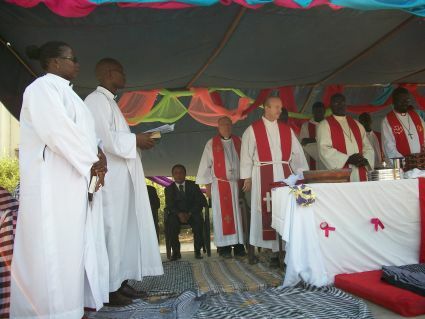 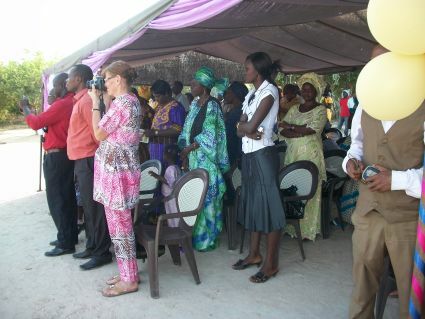 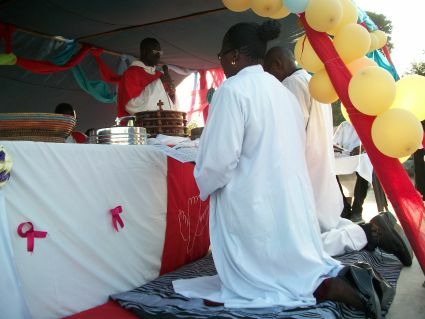 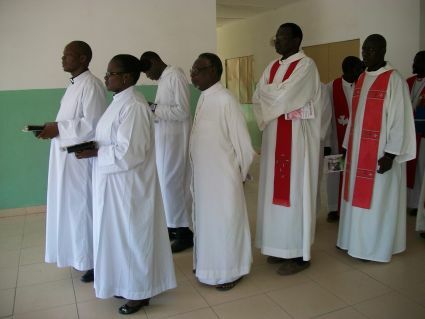 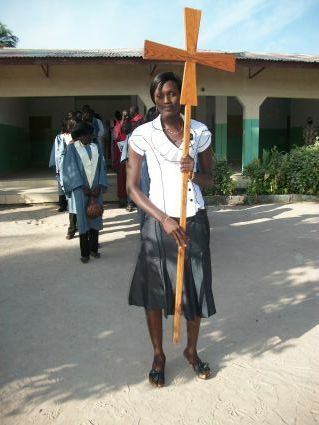 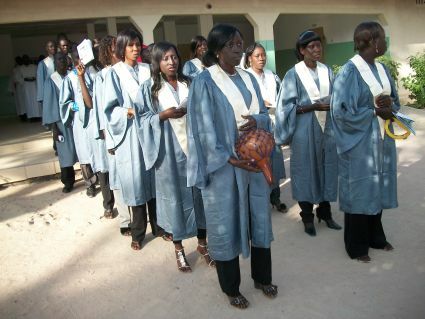 The Ordination was officiated by the ELCTG's sister church, the Lutheran Church of Senegal (LCS). 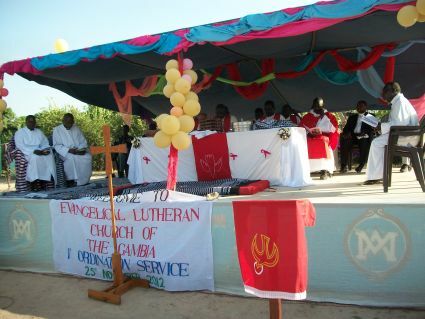 Pastors and members from the LCS and other churches in The Gambia also participated, as well as missionaries from the Evangelical Lutheran Church in America and the Finnish Evangelical Lutheran Mission serving in Senegal.